I just call this the “peppermint kind bar.” It’s shorter and more to the point. I love this flavor, but also mint chocolate chip ice cream has always been my favorite ice cream flavor, so you can see where I’m coming from. This bar does not disappoint. It tastes very much like peppermint! 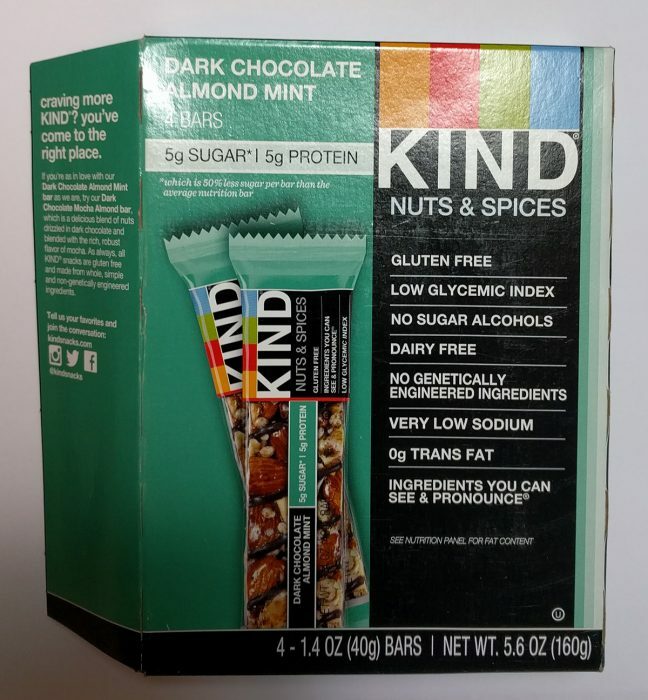 This Dark Chocolate Almond Mint kind bar is part of the “Kind Nuts & Spices” series, which means that it’s low in sugar and high in flavor. Kind manufactures quite a few flavors, some more savory and salty and some more sweet! This flavor is a great choice if you’re watching your salt and sugar intake, as this nutrition bar is low in both compared to most nut bars. 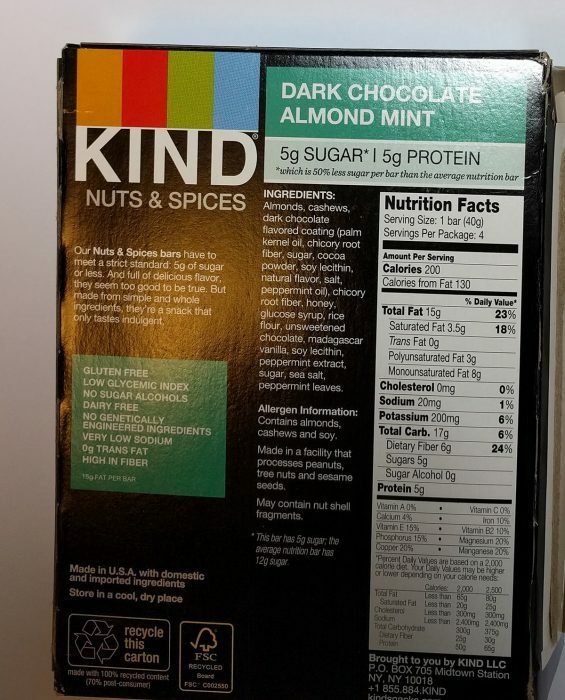 Dark Chocolate, Nuts, and Plenty of Mint!